While eating less and exercising more is the standard approach to weight loss, it is important to recognize that our bodies are complicated and there is more to weight management than balancing an energy equation. If you have been having difficulty losing weight, try these evidence based tips. They may be just what you need to shed those stubborn pounds. 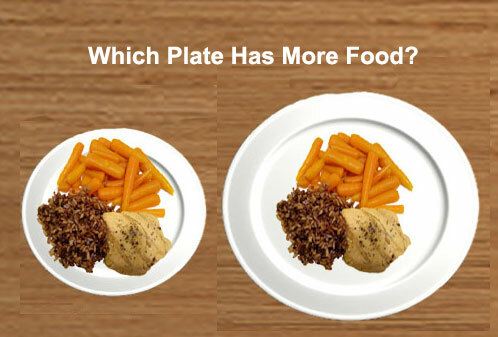 You can trick your brain into thinking that you have eaten more food by using smaller plates. Psychologists found that the larger your plates or bowls, the less your brain thinks you have eaten. By using smaller plates, you trick your brain into feeling more satisfied with fewer calories. Protein has the greatest thermic effect of all the macronutrients. It can increase fat burning and reduce hunger. Protein also increases satiety, leading to a significant reduction in hunger and cravings. Protein can also help you gain more muscle if you lift weights. Having more muscle speeds up your metabolism, so you burn more calories, even at rest. Good sources of protein included animal foods like meat, fish, egg and dairy (e..g. Greek Style Yogurt). Foods such as vegetables and some fruits have a high water content and have been shown to promote weight loss. Vegetables are also rich in soluble fiber, which can also promote weight loss. Soluble fiber is broken down by bacteria in the digestive tract to produce a fatty acid called butyrate, which is has significant anti-obesity effects. Combining protein with a vegetables is a recipe for weight loss success. Eggs are close to being a perfect whole food. Combining eggs with veggies for breakfast can help curb your appetite and speed up your metabolism. In one study, 152 overweight men and women were split into groups. One group ate eggs, the other ate bagels. After 8 weeks, the egg group had lost significantly more weight than the bagel group. The current evidence validates that eggs are healthy and do NOT raise your bad cholesterol or give you heart disease, like previously believed (by some). Some studies show that people who reduce their consumption of carbohydrates eat less calories and lose weight with less effort. Reducing carbohydrates can also lower insulin levels, allowing the kidneys to remove excess sodium and water from the body, thereby reducing bloating and water retention. The best way reduce your carbohydrates is to reduce or eliminate foods high in processed sugars, such as sweets and sodas, as well as starchy foods like bread, pasta, and refined grains. The importance of the gut microbiome and its relationship to obesity cannot be overstated. Specific bacterial groups that are associated with obesity and weight loss have been correlated with strategies that increase the diversity of an individual’s gut microbiome, such as those mentioned above (e.g. High fiber foods). Obesity is a sign of chronic ongoing inflammation. Dietary fat can influence low grade inflammation. Manipulation of these fats can be a strategy to help with weight loss. 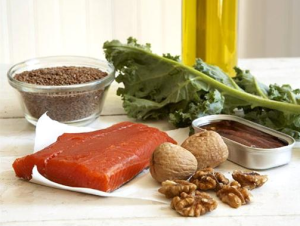 Saturated, trans and an imbalance between omega 6 and omega 3 fatty acids, commonly seen in the Western diet stoke the inflammatory fire and feed obesity.